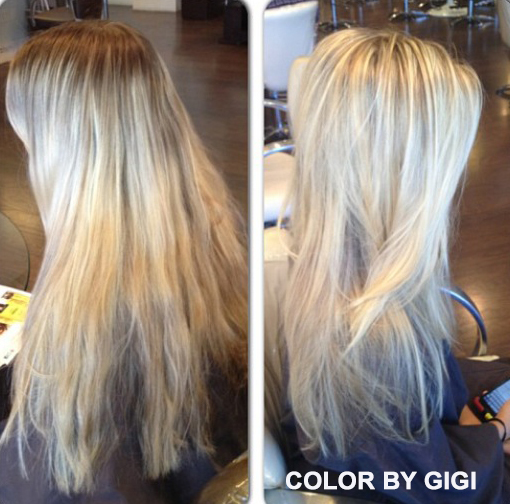 SALON SORA TAKES CORRECTIVE HAIR COLOR TO A HIGHER LEVEL! 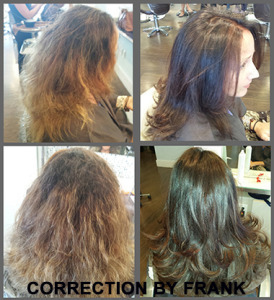 LOOK AT THE AMAZING COLOR TRANSFORMATION IN THESE BEFORE AND AFTER COLOR CORRECTIONS. COLOR GOES FROM HORRIFYING TO RADIANT AS THE SALON SORA TEAM NOT ONLY CORRECTS THE COLOR BUT TAKES THE HAIR FROM BLEACHED AND BURNED TO BEAUTIFUL, SHINY, RADIANT HAIR! SALON SORA USES ONLY THE FINEST PRODUCTS TO TREAT YOUR HAIR WITH THE UTMOST RESPECT AND CARE. NO OTHER SALON DOES HAIR COLOR LIKE SALON SORA. THESE SAMPLES OF HAIR COLOR CORRECTION WERE PERFORMED USING GOLDWELL HAIR COLOR AND PHYTO OF PARIS SHAMPOO AND TREATMENTS. NO FLAT IRON WAS USED IN THE FINISHING OF THESE CLIENTS. JUST PHYTO HAIR CARE PRODUCTS, A BLOW DRYER, AND A ROUND BOAR BRISTLE BRUSH. JUST THINK, IF THIS HAIR COLOR TRANSFORMATION CAN BE ACHIEVED ON HAIR THIS DESTROYED IMAGINE WHAT THE TEAM AT SALON SORA CAN DO FOR YOU! RADIANT REDS, BRILLIANT BLONDES, AND BEAUTIFUL BRUNETTES ARE ALL DONE TO PERFECTION AT SALON SORA. COME IN TODAY TO SEE WHAT TRANSFORMATIVE RESULTS AWAIT YOUR HAIR COLOR AT SALON SORA.